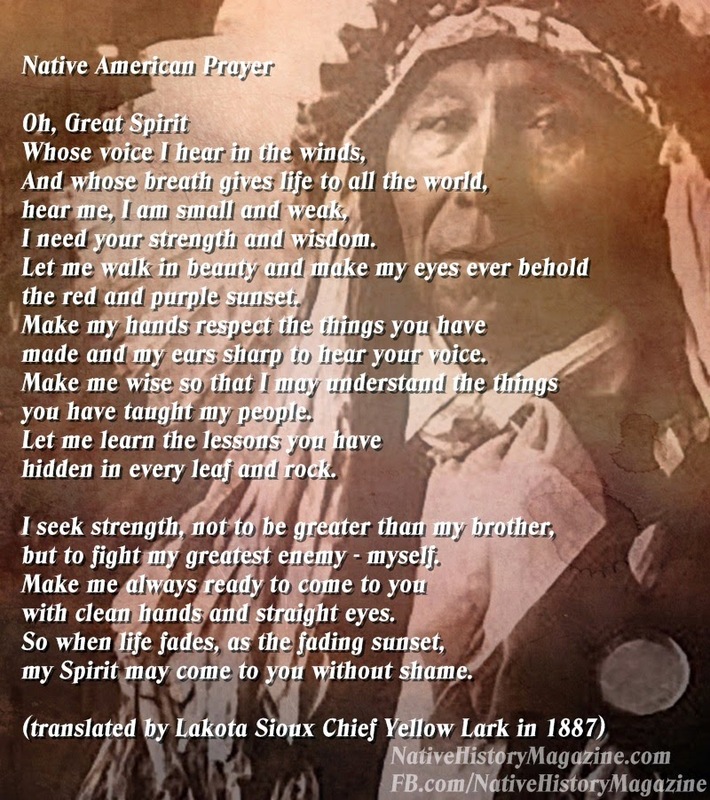 I just wanted to share with you a wonderful Native American resource. 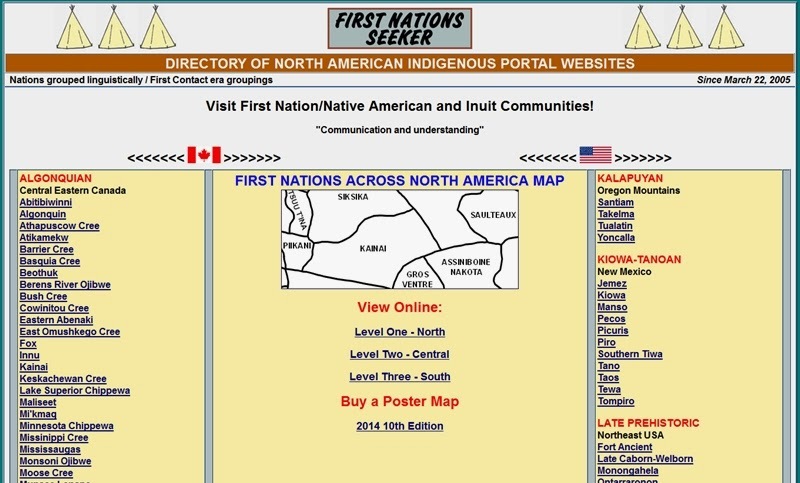 It is the First Nations Seeker: A Directory of North American Indigenous Portal Websites. It also includes online maps of all tribes across the continent. This is really a wonderful and quite thorough resource for anyone seeking out information on Native History--and would also be helpful for educational purposes. To visit the site just click on the image above and it will take you directly there. I was in the mood for creating some digital art today. So I found a Native American Photo that inspired me and had some fun with it. This was the result. This original photo is entitled, 'The Valley of the Rosebud,' and was taken circa 1905 by renowned photographer, Edward S. Curtis. 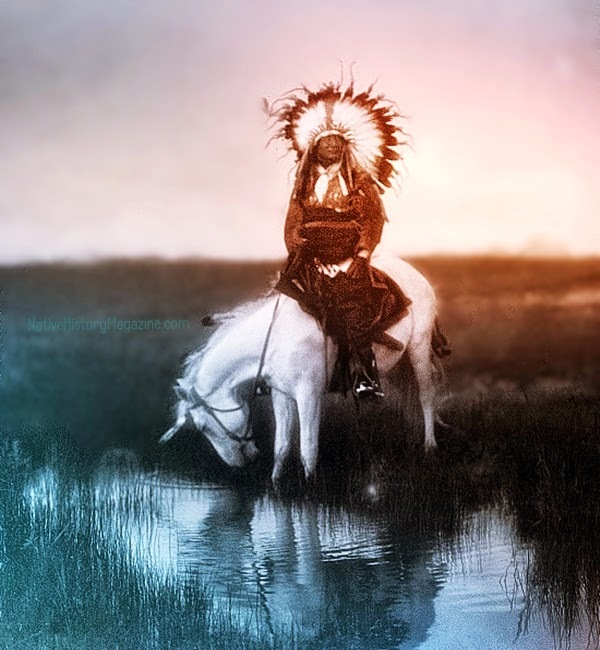 It is described by the Library of Congress as depicting a "Cheyenne Indian, wearing warbonnet headdress, on horseback at a pool of water." The original Native American photo in this digital art is from the Edward S. Curtis Collection at the Library of Congress. 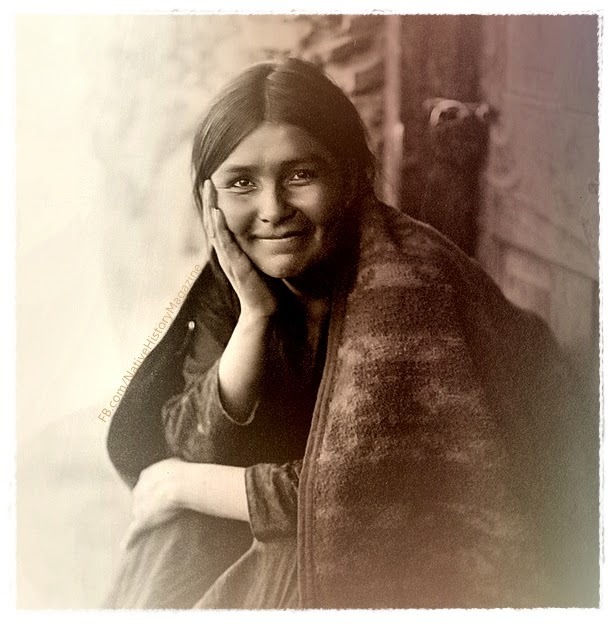 It is titled, 'Navaho Smile,' and it was taken circa 1904. I adore this photo of this beautiful Native woman, who truly smiles from within. So I had to share it with you here. This book is due to be released Tuesday, November 5th. The Publisher's description is very detailed, and would seem to make for a compelling and well-researched read about a great Sioux warrior, whose vital place in Native American History has been sorely overlooked for far too long. The great Sioux warrior-statesman Red Cloud was the only American Indian in history to defeat the United States Army in a war, forcing the government to sue for peace on his terms. At the peak of Red Cloud’s powers the Sioux could claim control of one-fifth of the contiguous United States and the loyalty of thousands of fierce fighters. But the fog of history has left Red Cloud strangely obscured. Now, thanks to the rediscovery of a lost autobiography, and painstaking research by two award-winning authors, the story of our nation’s most powerful and successful Indian warrior can finally be told. The result was a gathering of angry tribes under one powerful leader. “The white man lies and steals,” Red Cloud told his thousands of braves at council fire. “My lodges were many, now they are few. The white man wants all. They must fight for it.” What came to be known as Red Cloud’s War (1866–1868) culminated in a massacre of American cavalry troops that presaged the Little Bighorn and served warning to Washington that the Plains Indians would fight, and die, for their land and traditions. But many more American soldiers would die first. In The Heart of Everything That Is, Bob Drury and Tom Clavin, the New York Times bestselling authors of Halsey’s Typhoon and The Last Stand of Fox Company, restore Red Cloud to his rightful place in American history in a sweeping and dramatic narrative based on years of primary research. As they trace the events leading to Red Cloud’s War they provide intimate portraits of the many and various men and women whose lives Red Cloud touched—mountain men such as the larger-than-life Jim Bridger; U.S. generals like William Tecumseh Sherman who were charged with annihilating the Sioux; fearless explorers such as the dashing John Bozeman; and the warriors whom Red Cloud groomed, the legendary Crazy Horse in particular. And residing at the heart of the story is Red Cloud, fighting for the very existence of the Indian way of life. This fiery narrative, fueled by contemporary diaries and journals, newspaper reports, eyewitness accounts, and meticulous firsthand sourcing, is a stirring chronicle of the conflict between an expanding white civilization and the Plains Indians who stood in its way. 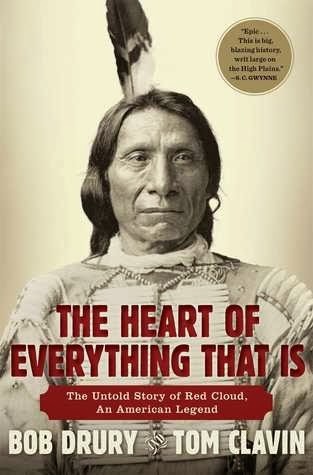 The Heart of Everything That Is not only places the reader at the center of this remarkable epoch, but finally gives Red Cloud the modern-day recognition he deserves. If any of you happen to read this book, we would love to hear your thoughts and comments.